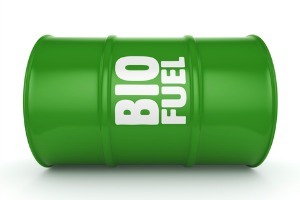 While biodiesel is exclusively derived from lipid-rich sources such as animal fats and vegetable oils, renewable diesel may be produced from additional feedstocks such as crop residues and wood scraps. Compared to biodiesel, renewable diesel is more similar in chemical composition to petroleum diesel and less prone to cold weather degradation, facilitating its use in diesel engines as a “drop in” fuel – an unblended diesel substitute. Commercial adoption is already underway. In 2015, Neste Corporation – one of the few producers of this fuel – agreed to supply the United Parcel Service with renewable biodiesel as part of the shipping firm’s goal to replace 12% of its conventional fuel with alternative fuels by the end of 2017. In 2016, the California county of Sacramento began purchasing Neste Corporation’s renewable diesel for its fleet of more than 400 heavy-duty vehicles. As for automobiles, the vast majority are powered by corn. In fact, in 2015, corn-derived bioethanol composed about 10% of the US gasoline supply, serving as an oxygenate and octane booster. This share is expected to edge upward through 2020 due to continuing growth in government mandated levels. For example, in May 2016, the EPA proposed setting the standard for total renewable fuel at 18.8 billion gallons for 2017, an increase of 11% over 2015 levels; conventional bioethanol from corn would account for the majority of this volume. To discover other drivers of biofuel demand, read Motor Vehicle Biofuels: United States, a report recently published by the Freedonia Focus Reports division of The Freedonia Group. The report provides historical data on US demand for and production of motor vehicle biofuels in barrels, along with forecasts to 2020. In addition, the report discusses drivers and constraints and provides profiles of leading companies competing in the US market. To learn more about vehicles and fuels, see related reports such as Motor Vehicles: United States and Upstream Oil & Gas: United States. About the Author: Erica Keenan is a Market Research Analyst with Freedonia Focus Reports. She holds degrees in biomedical science and a certificate in data science, and her experience as an analyst spans multiple industries.